Mountain Watch is developing a rare plant program for the Mountain. Doug Allshouse and David Nelson, instrumental in this program's development, will give short presentations at this Saturday's native plant sale. Don't miss these interesting presentations from two experts on San Bruno Mountain flora - 10:30am, 11:30am & 12:30pm. 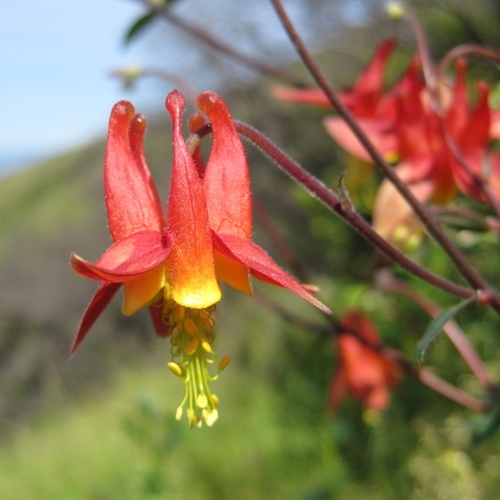 Doug Allshouse will share the natural history of some of the rare plants found on San Bruno Mountain - and why they have a rare, threatened or endangered ranking. The talk will be interactive, with questions encouraged, and Doug will share interesting characteristics of the plants that may surprise you. Doug's talks will be at 10:30am and 11:30am. David Nelson will discuss the dynamic nature of the Mountain, from the start of the Mediterranean Climate 2.5 million years ago to the present, and how San Bruno Mountain is changing right now: new species are being created and old species are being eliminated. Our plan for the Mountain needs to incorporate the concepts of change or we will not be successful in managing the ecosystem. David will present at 12:30pm. Naturalist Doug Allshouse has been exploring and fighting for the Mountain for 35 years. He is the San Bruno Mountain chair at the Yerba Buena Chapter of California Native Plant Society (CNPS) and leads regular hikes on San Bruno Mountain. David Nelson is an orthopedic hand surgeon by day and an enthusiastic botanist and conservationist by weekend. He is the chair of the San Bruno Mountain Rare Plant cCommittee at the Yerba Buena Chapter of CNPS. They hike the Mountain every weekend chronicling, photographing and studying the flora and fauna of San Bruno Mountain for their upcoming book, "The Natural History of San Bruno Mountain", to be published by the California Native Plant Society.